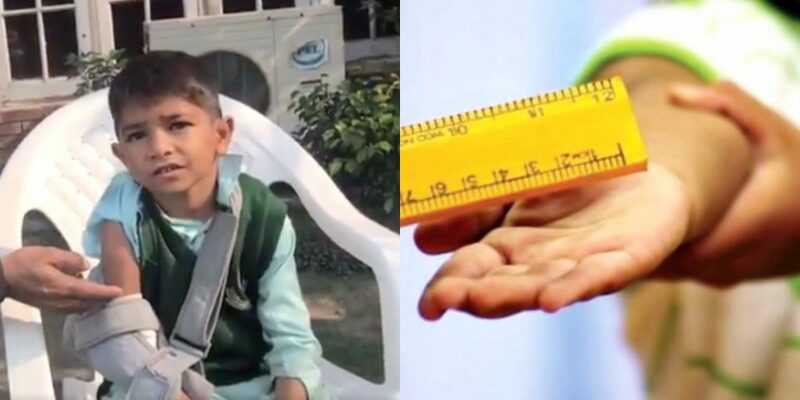 This Guy Narrates How His Son Was Punished In School And It's Infuriating! This Guy Narrates How His Son Was Punished In School And It’s Infuriating! There are various mediums of learning and amongst them, pedagogy is the most important one. Pakistan is an under-developed nation with a literacy rate of 60%. Although the literacy rate has soared, the art of pedagogy is yet be learned by a teacher. Corporal punishment is prevalent in schools and other educational institutions of Pakistan. According to reports of Unicef, 81 % of children in Punjab and Sindh have experienced corporal punishment, the ratio is higher in rural areas. Besides, most of the victims of this punishment are students of primary schools. Although the hitting- students culture exists in all the institutions, it prevails more in government schools. A recent viral video on social media exhibits how students are being treated in Pakistan’s school. In a video, the father of a victim’s said that he belongs to PakPattan (Panchwanja village). 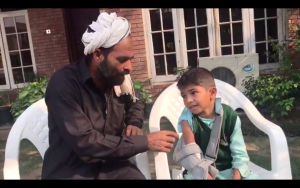 His son was beaten by a teacher because he didn’t have a notebook. He further says that the teacher hit him badly on the arm. Though they took him to hospital and doctors treated him, strange fluid came out of the child’s arm. The child is the student of Government primary school Panchwanja Pakpattan. According to his father, it has been months but his son is not healed yet. The father further asserts that he had submitted written complaints to DPO and DC offices, asking for the help of the child and to take a legal action against the teacher, but never heard back from them. The corporal punishments have certain effects on a child’s psychology. It’s been observed that people who are subjected to such violence in childhood, the child faces many psychological illnesses. Moreover, it shatters the confidence of a child and decays his abilities. In 52 countries of the world, there is a complete ban on corporal punishment in educational institutes. Unfortunately, Pakistan is not one of them. Pakistan is trying since 2006 to amend laws of corporal punishment and had even published a bill to eradicate such violence, but failed. The viral video of a child depicts how the nation’s builder, (teacher) ruining the generation instead of building them. There is a dire need of reformation of pedagogy. Owing to prevalent culture of punishments, a teacher needs more education than a child. The government should take action against all such teachers on war-footings. In the era of enlightenment, the old way of teaching would yield no good at all.